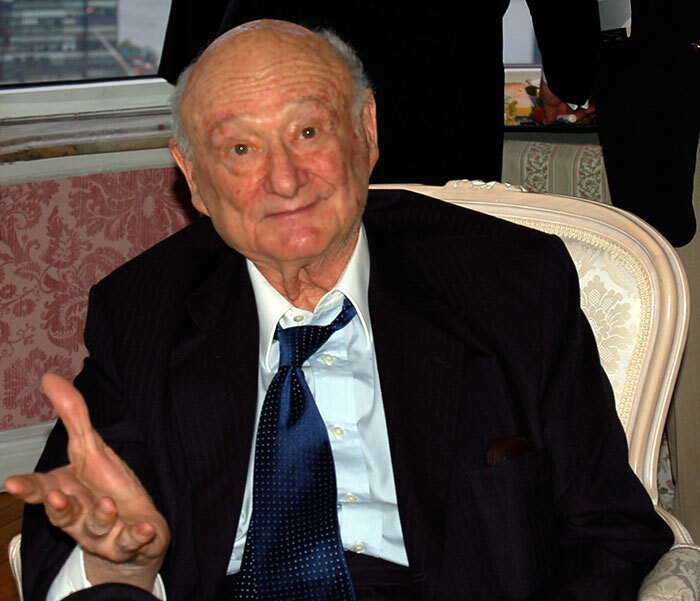 Five Years after His Death, Ed Koch's Legacy Gets Stronger Than Ever! Kotcha! 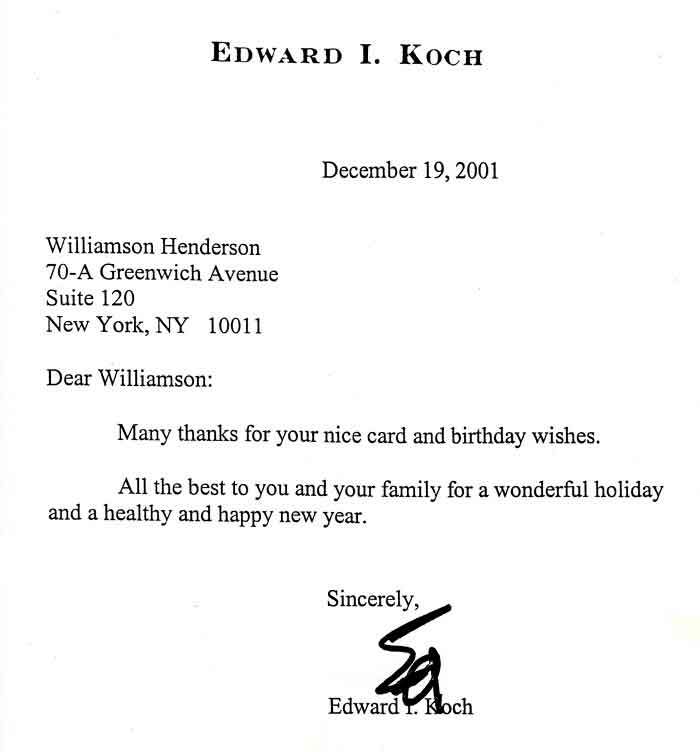 A warm and witty Koch look in his mid-80s! 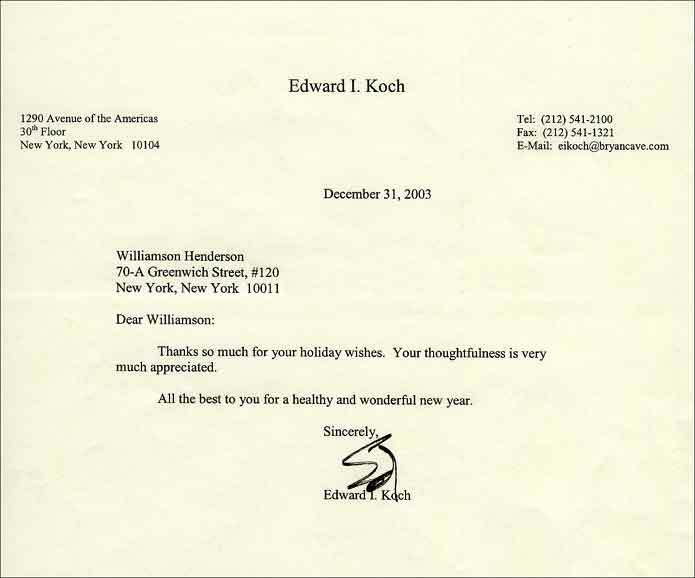 "Koch" the NYC Movie Opens... Koch the Living Person Exits! 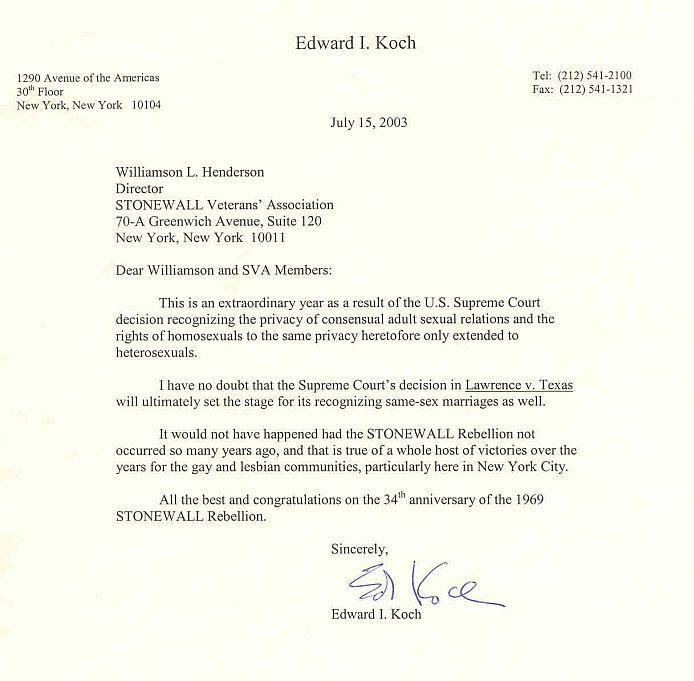 Unlike anyone else, Mayor-for-Life -- until Friday, February 1st -- Ed Koch is New York City's all-time greatest public official and the most dedicated and consistent supporter and inspirer of the STONEWALL Rebellion Veterans' Association ever! He supported the S.V.A. as a councilmember, a congressmember, a mayor and as an individual spanning four decades. 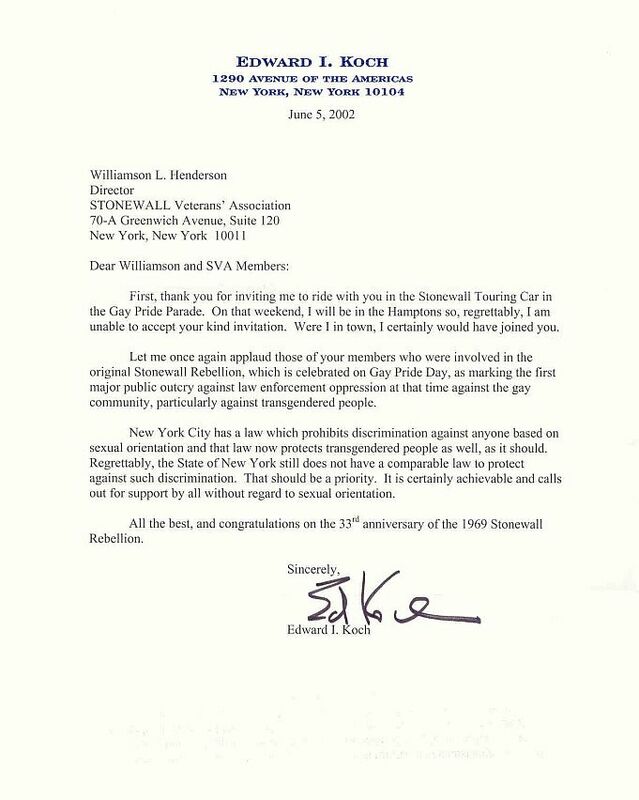 Mayor Ed Koch's 43rd Anniversary Letter to the S.V.A. 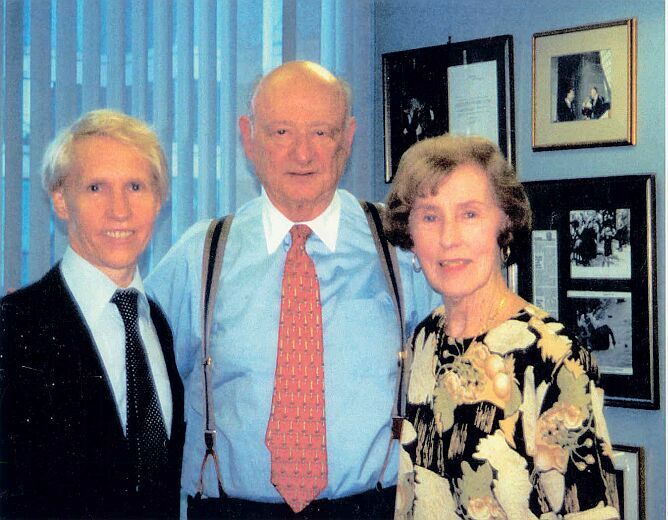 The landmark Queensboro Bridge was officially renamed the "Ed Koch Queensboro Bridge" after a living legend Ed Koch! The bridge is one of the key links between the New York City boroughs of Manhattan and Queens. The tribute is significant. 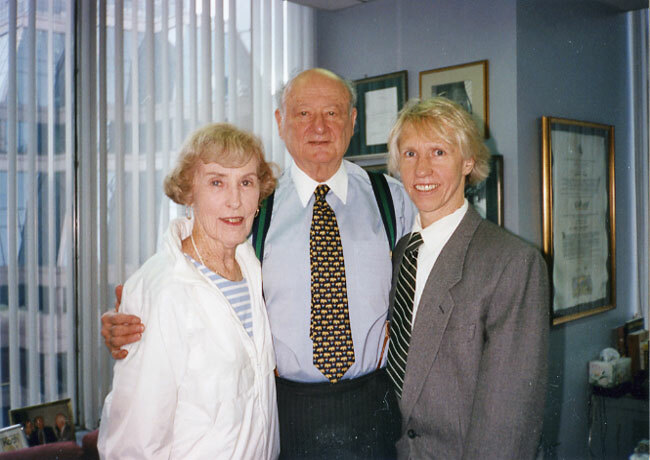 As a successful U.S. Congressmember, Ed Koch's district included the East Side of Manhattan and a western portion of Queens. He travelled to Queens regularly and had a district office in Queens. As N.Y.C. 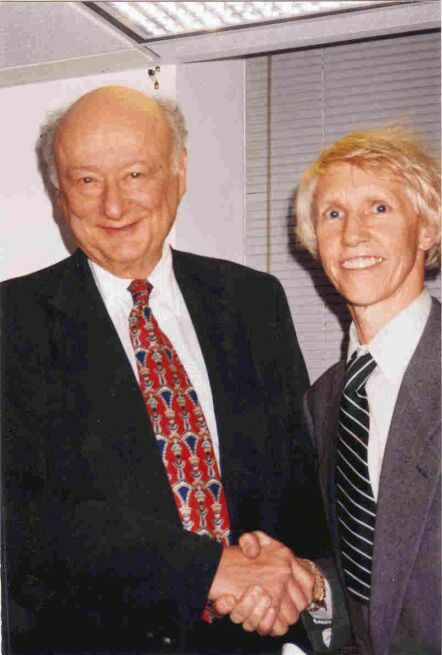 Mayor, Ed Koch greatly brought the entire City of New York, including Queens, back from the depths of financial crisis, crime waves and image chaos. While campaigning for mayor, New York City experienced the horrors of "The Blackout of '77" and the resultant looting turmoil and crime wave. 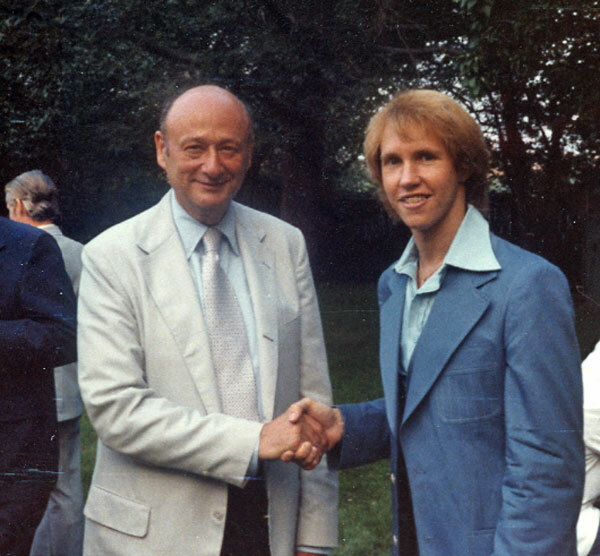 Ed Koch was the symbolic "Bridge Over Troubled Water", a #1 song by Simon & Garfunkel in 1970. 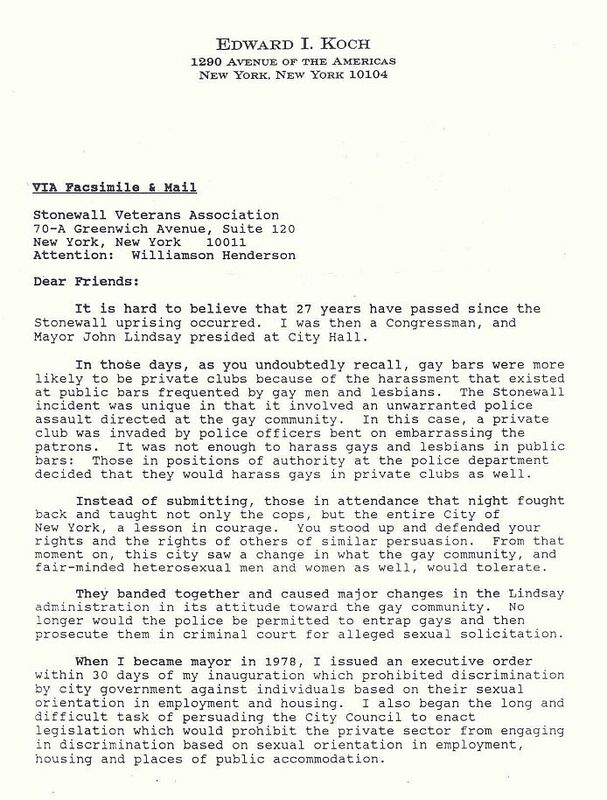 Once Mayor, Ed Koch signed an immediate and historic Executive Order banning Gay employees of NYC from discrimination in employment, housing or education. 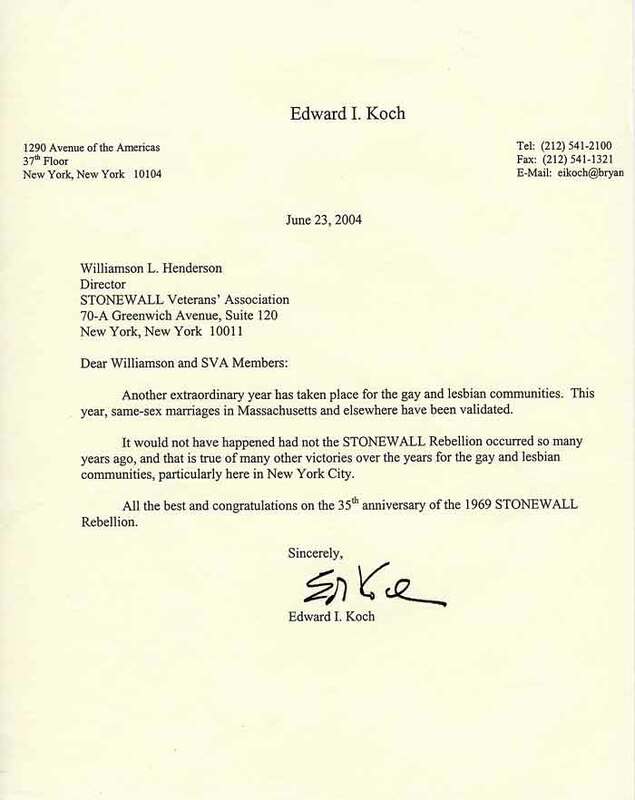 After actively campaigning for Gay rights, in 1986 as mayor, Ed Koch signed the New York City Gay Rights Law. 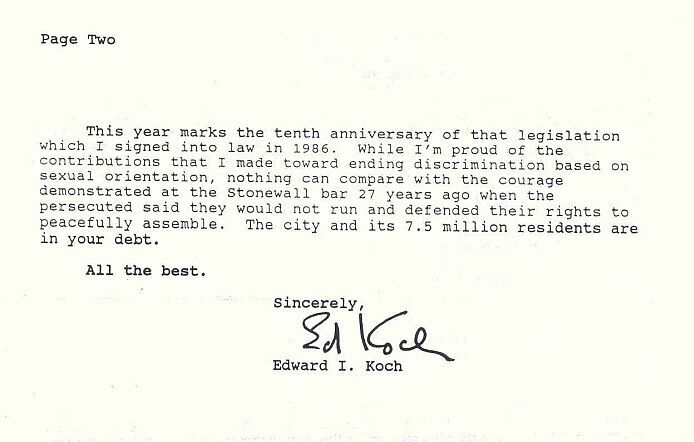 Fast forward: This eternal Ed Koch bridge tribute was 'signed into law' -- with Mayor Ed Koch getting the first pen -- by Mayor Michael Bloomberg at City Hall on April 11, 2011. Mayor Ed is truly singing "Feelin' Groovy", the hit song sub-title for the "59th Street Bridge Song" written by Paul Simon and recorded by his group Harpers Bizarre in 1967 commemorating the historic bridge. Korrect Koch Kommentary: "Don't Ask, Don't Tell"
"Don't Ask, Don't Tell" Should Be Relegated To The Dustbin of History"
"Don't Ask, Don't Tell" should be repealed by the Congress, as requested by President Barack Obama. Gays and lesbians should be permitted to serve in the United States armed forces without concealing their innate sexual orientation, as they do in 20 of the 26 NATO countries, including England, France and The Netherlands, as well as in Israel. Secretary of Defense Robert Gates testified before the Congress, according to The New York Times, "that he was carrying out Mr. Obama's policy of moving to repeal 'Don't Ask, Don't Tell.'" But he also said, "any change in policy would require a deliberate review and cautioned that a Pentagon panel might take up to one year to study how to put into place any changes approved by Congress." Admiral Mike McMullen, Chairman of the Joint Chiefs, said, "It is my personal belief that allowing Gays to serve openly would be the right thing to do." Senator Carl Levin, Chairman of the Senate Armed Services Committee, commenting on the proposed study, according to The New York Times, "asked whether it would be possible to suspend all discharges under the policy pending congressional action that might repeal the ban." The Times reported that there is no unanimity on this issue in the armed forces, stating, "The top generals from the Army and the Air Force expressed deep concern about moving rapidly to lift the ban on openly Gay service members, saying it could make it harder for their forces to do their jobs while fighting two wars. The comments by General George W. Casey Jr., the Army Chief-of-the-Staff, and General Norton A. Schwartz, the Air Force Chief-of-Staff, may provide political cover for members of Congress who oppose President Obama's call for repealing the policy known as 'Don't ask, don't tell'". It seems to me that Chairman Carl Levin's proposal of suspending discharges pending further congressional action is a rational, common sense approach. However, "Don't Ask, Don't Tell" should be relegated to the dustbin of history -- the sooner the better! *The Mayor* at The Movies"
Mayor Ed Koch appears on television every Tuesday evening @ 7 p.m. and encores that night @ 10 p.m. on New York-1 television's weekly segment "Inside City Politics" on channel 1 in New York City. Mayor Ed's television teammate is former U.S. Senator Alphonse D'Amato. As a team, Ed and Al are known as "The Wise Guys". The official, semi-annual meeting between the SVA's Honrary Male Chair Mayor Koch and the SVA's Director Williamson was on Friday, March 20, 2009. The get-together was at the mayor's law office on Avenue of the Americas in Manhattan. Also attending the private event was the SVA's office manager AnDre M. Christie. Thus, three generations!!! Note to the S.V.A. 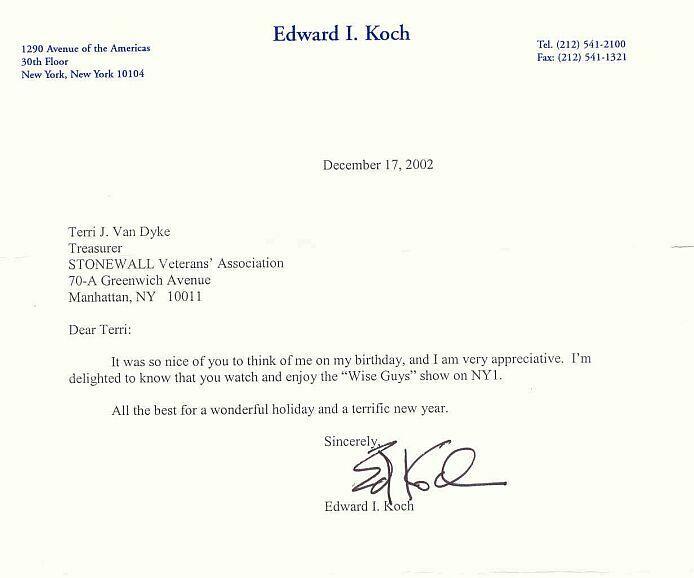 from Mayor Ed Koch. 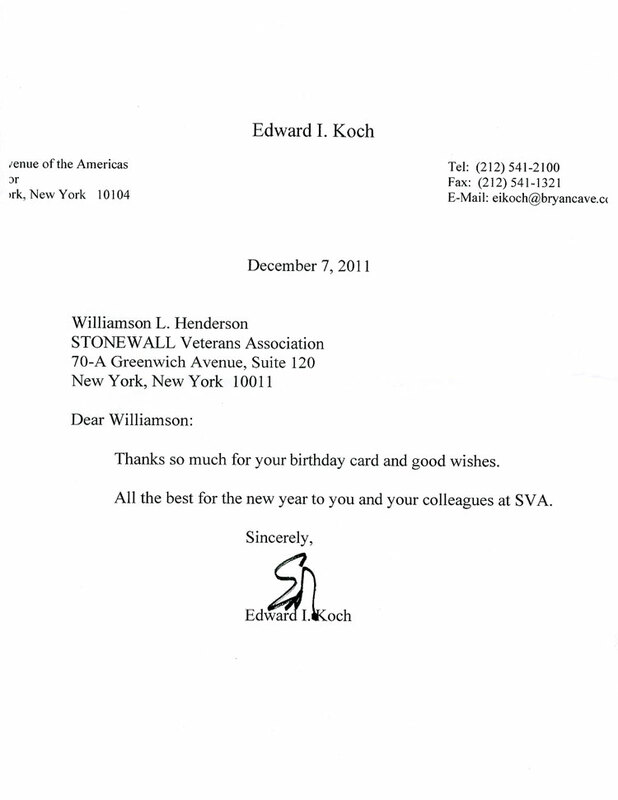 Annual Letter from Mayor Koch to the S.V.A. The S.V.A. 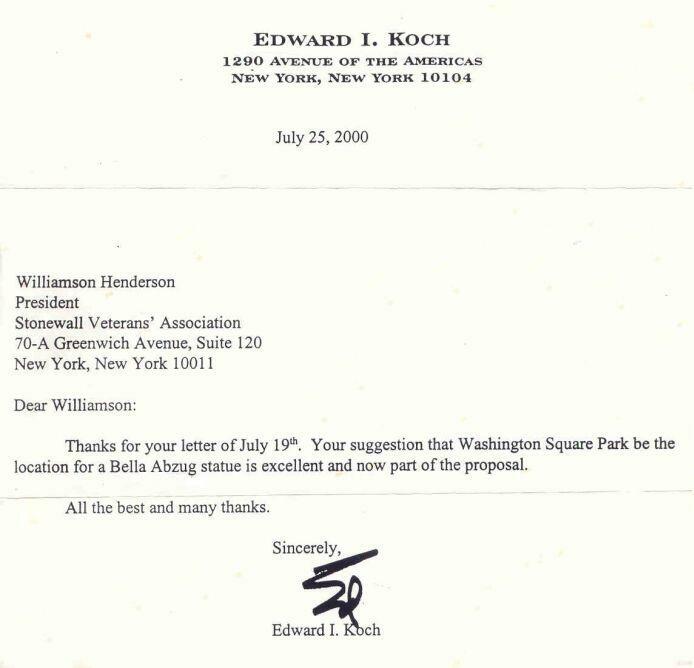 has Mayor Ed Koch's congratulatory letter for 2007; however, several dozen letters from public officials and organizations were sent to SVA's Archives in our secure storage spece before they were posted on the S.V.A. website. They will be unearthed in late 2016 or early 2017. Look for that letter and many more to be posted! 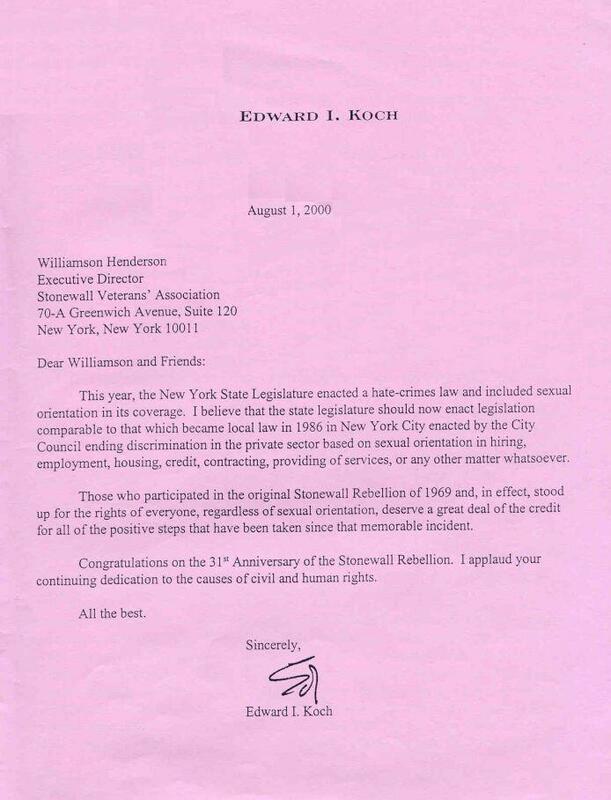 Mayor Ed Koch's annual praise letter to and renewed support of the S.V.A. has been thoughtfully and appropriately received during Gay Pride Month. 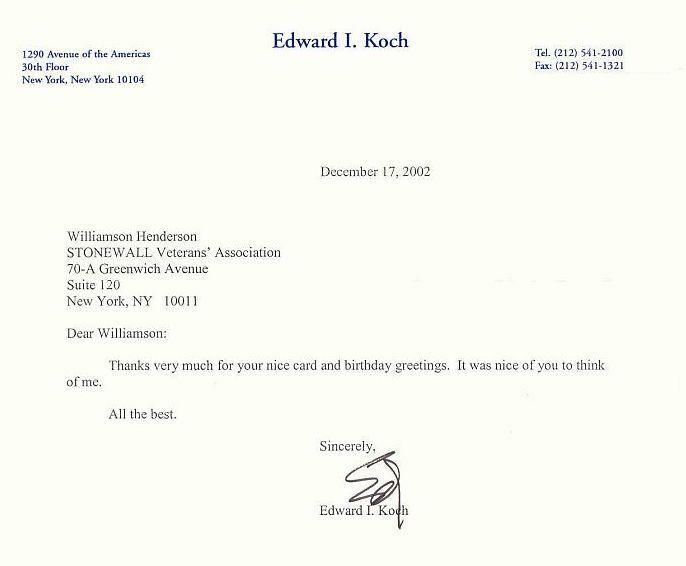 As always, we deeply thank and appreciate our longtime friend -- the international and the unique Mayor-for-life Ed Koch! 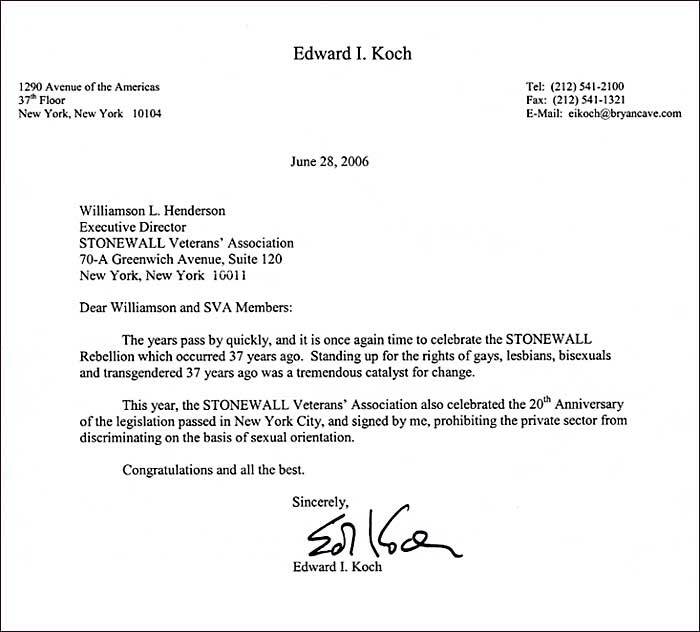 Former New York City Mayor Edward Koch is visited at his scenic Avenue of the Americas in midtown Manhattan office by the STONEWALL Veterans' Association's Founder Williamson Henderson's mother, Helen Henderson, a Floridian now, but always glad to be back in New York, especially with her favorite mayor and her favorite son!! 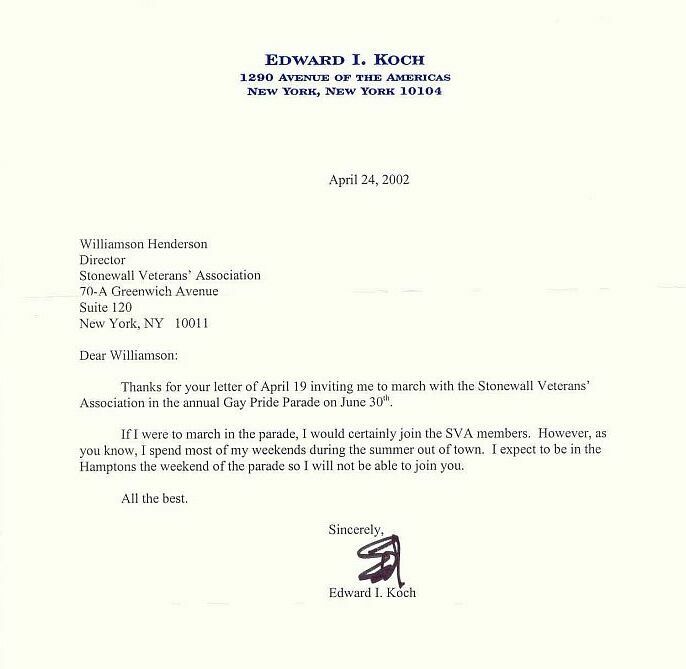 2000 - Annual Praise Letter from Mayor Koch to the S.V.A. 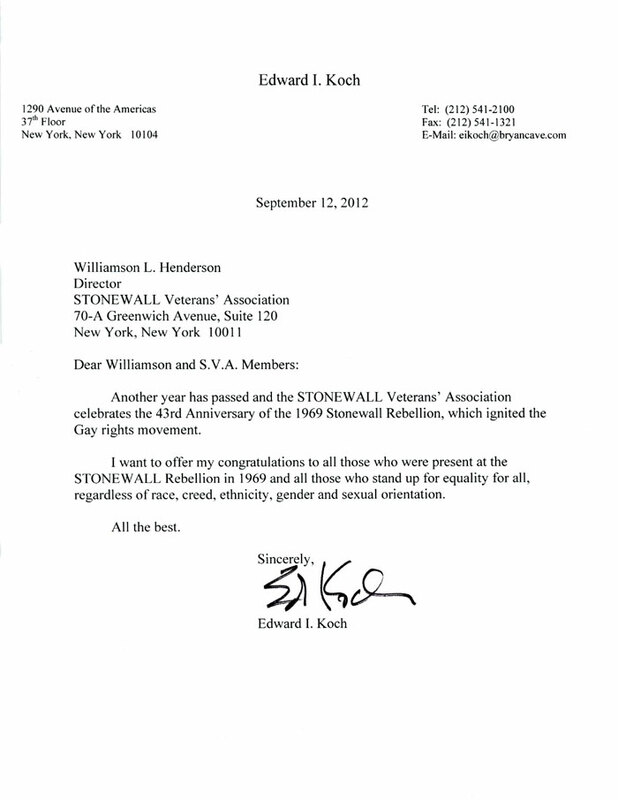 Former New York City Mayor Edward I. Koch with the STONEWALL Veterans' Association ("S.V.A.") President Williamson Henderson. 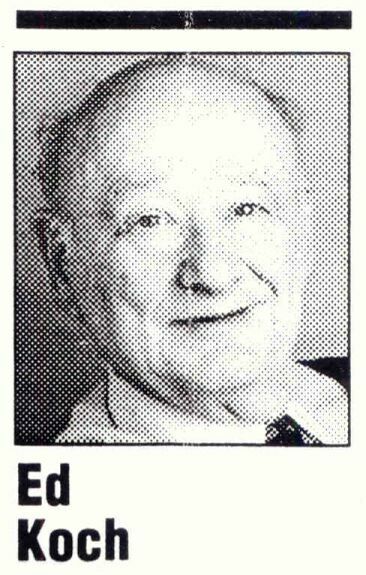 The internationally famous Mayor Ed Koch was first elected "Mayor" in 1977. Mayor Ed successfully and magnanimously served three terms from January 1, 1978 to December 31, 1989. In fact, the Mayor even had a very popular and candid number one book entitled -- what else -- "Mayor". The candidates forum event here happened at the Gay, Lesbian, Bisexual & Transgender ("GLBT") Community Services Center on West 13 Street in Manhattan, New York. The autumn date is Thursday, October 22, 1998 @ 7 p.m. The occasion was for sponsor PRIDE Democrats' "General Election Candidates' Forum". The event was the follow-up to the hugely successful, largest-ever candidates' forum, also sponsored by PRIDE Democrats, on Thursday, August 27, 1998. At that time, Mayor Ed's busy schedule had him elsewhere in America. However, the Mayor personally told Williamson to "....let him know when you have your next event and I'll be there!" True to his word, here he is: Mayor-for-Life Ed Koch! See the 'terrific' photo above. And, "How's he doin'?" Great! 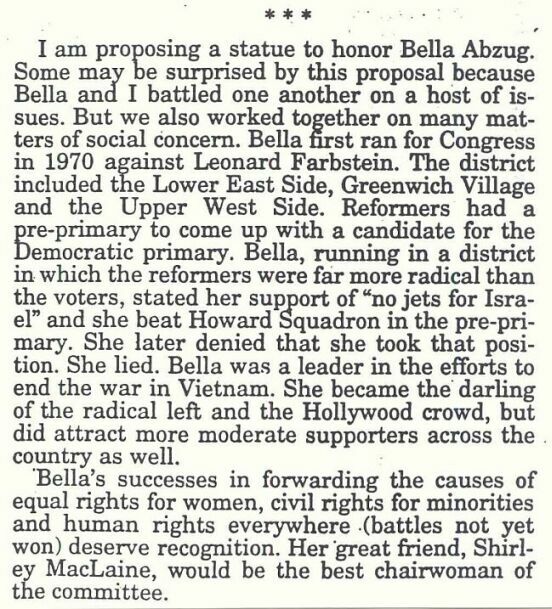 The forum was co-sponsored by the STONEWALL Veterans' Association, Gay Men of African Descent ("GMAD"), the Imperial QUEENS & Kings of Greater New York ("IQKNY"), Asians & Friends, the G.L.B.T. Political Coalition, Gay & Lesbian Hispanic Americans ("GLHA"), the Millennium Triangle Democratic Club ("MTDC"), the Stonewall Car Club ("SCC") and others -- a very real diversity! Mayor Koch is the one and the only S.V.A. Honorary Male Chairperson since the beginning of the organization and has also been the S.V.A. Honorary Project Chairperson. Mayor Ed was, of course, the big star of the show and every candidate so acknowledged. And what greater and internationally known Democrat in New York City history than Mayor Koch? None! And, yes, the event was part show biz. The members of the Imperial QUEENS attending did not come in tuxedoes! In fact, Mayor Ed was first welcomed by the grand Duchess Rayette of the transgender group IQKNY. Plus, it was media savvy; several journalists attended. Candidate speakers included: Judge Karen Burstein as the dynamic surrogate speaker for U.S. Senate general election candidate Charles Schumer; Eliot L. Spitzer for N.Y.S. Attorney General; H. Carl McCall for re-election as N.Y.S. Comptroller; Sandra Frankel (in a bright red dress) for N.Y.S. Lieutenant Governor; and four candidates for the New York City Council 3rd District (Greenwich Village and Chelsea), namely, openly-Gay District Leader/Stonewall vet Aubrey Lees, un-openly-Gay McManus Democratic Club President Carl Manzano, openly-Gay former N.Y.C. Department of Transportation Commissioner and current Tax Commissioner (both in Mayor Rudy's administration) Christopher Lynn, a longtime supporter of the IQKNY, and openly-Gay S.V.A. non-supporter Christine Quinn. In this Council contest, Mayor Ed endorsed Chris.... Lynn! Due to a hectic election schedule, Mayor Ed's longtime colleague and friend Peter Vallone, Sr., missed this one; however, he was the first of the 24 candidate speakers at the August 27 event. Both forums were sponsored by PRIDE Democrats under the leadership of Williamson Henderson and both forums were hosted by PRIDE and S.V.A. 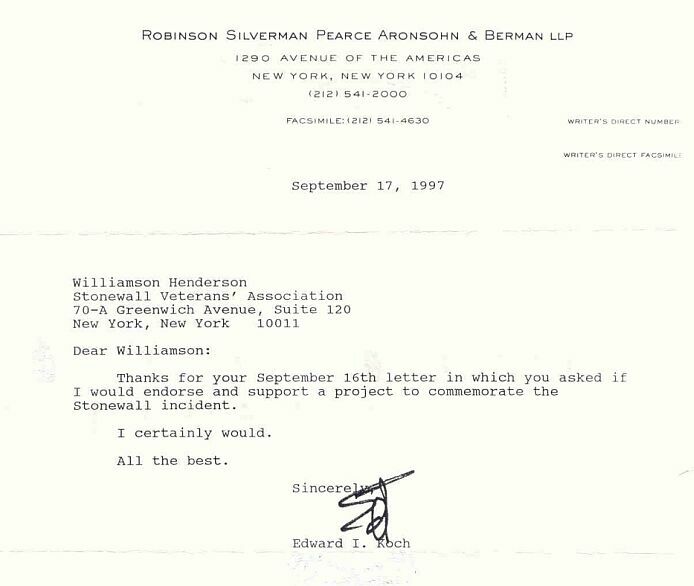 's President Williamson. By the way, which candidate did Mayor Koch speak on behalf of? He didn't come just to be nice and have chicken soup (we didn't have any). The Mayor spoke candidly, very effectively and rather sincerely for the re-election of his longtime Republican friend U.S. Senator Alphonse "Al" D'Amato and, crossing Democratic party lines again, for Republican N.Y.S. Governor George Pataki. Mayor Koch is a quintessential and independent New Yorker and is unequivocably unique and truly special. 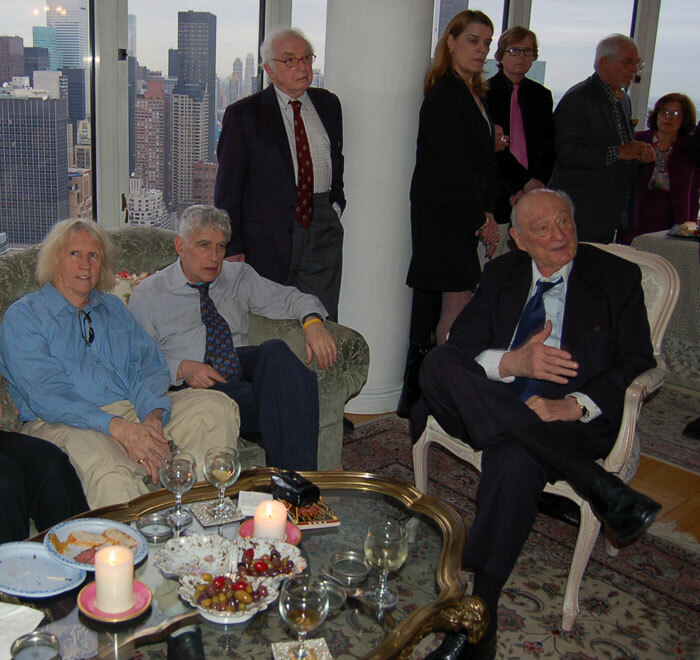 Ed Koch's final day as NYC Mayor-4-Life at 88! 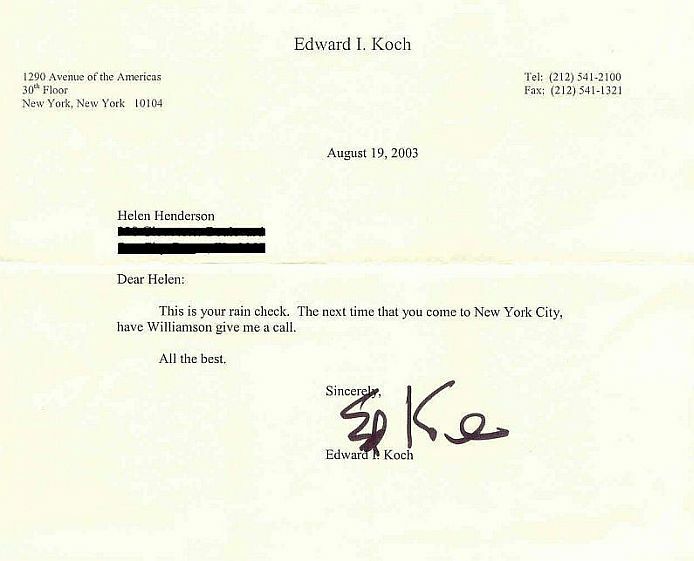 -- when young Ed Koch was serving as a N.Y.C. Congressmember!